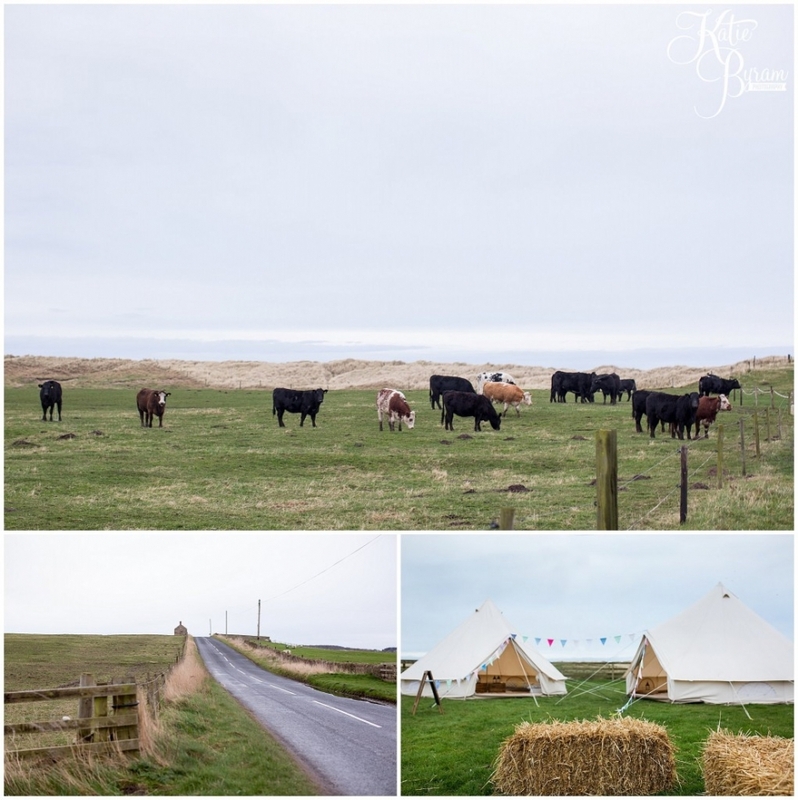 PINIMAGEBeing a huge lover of the Northumberland Coast, especially Druridge Bay, I was giddy with excitement when I heard rumours of a new Northumberland wedding venue right near the coast. The Barn On The Bay, featuring Calico Barn, is brought to you by the lovely team at the already very successful Hemscott Hill Farm. When I heard they were having their first open day, I simply had to take the opportunity to visit, and took along my camera for a few photographs. I immediately fell in love with the surroundings, as it is located between Creswell & Druridge Bay, on a lovely country lane. It overlooks both the sea and fields of cows and sheep. Here you certainly get coast and countryside rolled into one. Ali & Alison warmly greeted us (I took Chris along for the ride of course!) and showed us around. My initial impressions were it’s managing to hit totally the right spot between rustic & boutique. It’s just completely filled with character and immediately could visualise the types of couples wanting to get married here. I have a feeling it’s going to be huge! Ruby Tuesday Events did all of the lovely styling for the wedding open day, and Emma Bunting provided the gorgeous bespoke bunting. The Barn On The Bay offer a full weekend for no-rush weddings, and complete exclusivity. 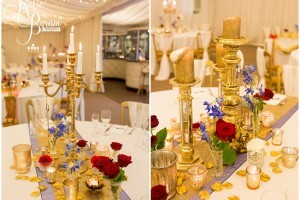 You are also able to choose all of your own suppliers, including caterers, the only condition of this is that you use their bar….which when it looks like this…. is blumming amazing!!! Yep that’s a horse box bar. Which can even be towed to the beach… Perfect for a day-after barbecue! There is also a mobile tearoom in another horse box… how cute?? 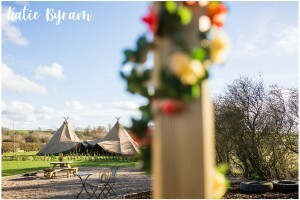 What also hit me about the venue was the total enthusiasm from the ladies, Ali & Alison who are clearly excited over the prospect of hosting weddings at the gorgeous Calico Barn. They really feel strongly about their couples having choice and flexibility for their wedding day to make each one perfectly personal. 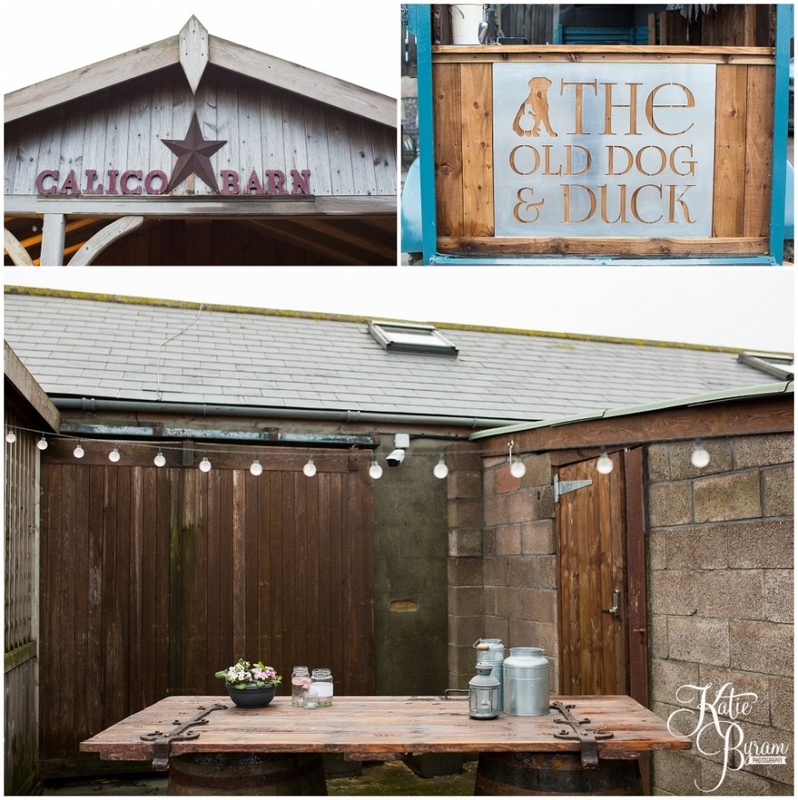 I wish the team at Barn On The Bay lots of luck with their new venture….I think it’s going to be awesome and I really can’t wait to photograph my first wedding there! All images and text copyright Katie Byram Photography 2017 and must not be used without written permission. 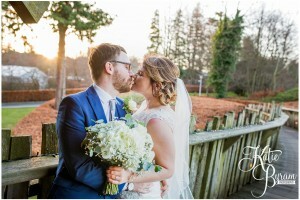 I’ve known Leanne for a number of years as we used to work together, and I was absolutely thrilled when she got in touch to ask me to be her wedding photographer! She was marrying her lovely & funny fiancé Arnold (Arny), and planning a day full of colour and fun. It was my first Chinese wedding and it was an amazing experience. 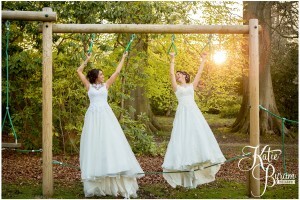 Leanne had three dresses to wear throughout the day, which all came from their pre-wedding trip to Hong Kong! The wedding ceremonies took place at The Vermont Hotel in Newcastle city centre, followed by a banquet at Sky Chinese Cuisine in Chinatown. I photographed this wedding with Chris as my second shooter as well and we had a fantastic time! At Chinese weddings, it is a tradition for the groom and his groomsmen to complete games and challenges before the groom is allowed to see the bride. The bridesmaid organise these games and believe me they didn’t make it easy for Arny & his groomsmen! Wasabi roulette, flying bananas, balloon popping, a dance routine & putting their feet in ice cold buckets of water to collect chess pieces were all part of the fun. Obviously this was brilliant to photograph too. One of the groomsmen had to have his legs waxed by a bridesmaid…. 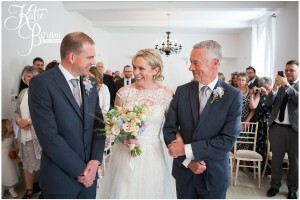 which he did like an absolute trooper..
After that, it was just the small task of negotiating a price with the bridesmaids before he was allowed to see Leanne…. Luckily Arny pulled out some top negotiating skills and managed to secure his bride 😉 Then he read a declaration to her of how he would look after her in their marriage etc..it was so lovely! Check out that train! Wowza!!!! After some drinks and photographs at The Vermont Hotel, it was onwards to Sky Chinese Cuisine for a proper banquet! Eleven courses of beautifully presented food, toasts, speeches and lots of giggles made it a brilliant night. Their amazing mini letters came from Coco Luminare. A big congratulations to Mr & Mrs Li on their marriage and a big thanks for having both me & Chris shoot your wedding day! 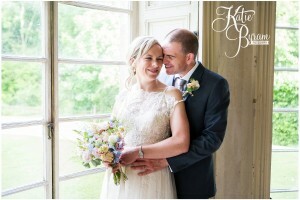 All photographs copyright Katie Byram Photography and must not be used without written permission. At the beginning of 2017, myself & Chris sat and wrote a list of things we wanted to do together this year. One of the places we really wanted to go was the Isle of Skye. It was amazing when just a couple of weeks later, Rosie from Love Skye Photography got in touch to see if I’d be interested in dog sitting (something I love to do as a hobby/break away!) her lovely dogs on the Isle of Skye… I said yes almost immediately and Chris jumped on board too. 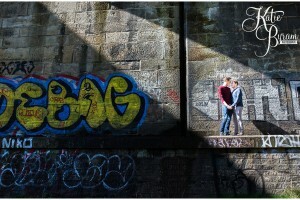 We knew we’d love to do a shoot whilst we were there, and ended up meeting up with Zoe & Pete. 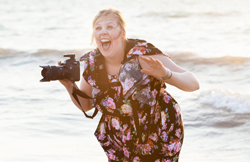 Zoe is also a wedding photographer, who was up for a road trip to Skye. We met Zoe & Pete for the day and had great fun adventuring around with them. Zoe also took some photographs of Chris & I which I am so excited to see! The shot took place mostly around The Glen of Sligachan, which overlooks the Cullin mountains…. it was just so breaktaking. What I learnt about the Scottish Highlands is the weather tends to change several times an hour. 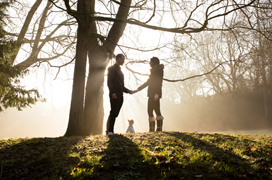 We had torrential rain and beautiful afternoon sunlight during the shoot. The unpredictability only made it more fun to be honest… and I got some gorgeous romantic shots in the rain too. 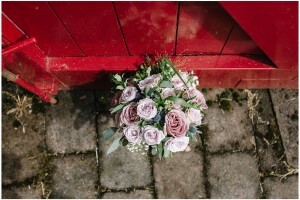 Keep an eye out for more photographs from the Isle of Skye… including a very special elopement! Back in September I was lucky enough to get the opportunity to attend The Secret Retreat workshop in Italy. I’ve dreamed of going to Italy for so long, and it did not disappoint!! I got to meet lots of fun, wonderful & inspiring ladies, and we spent a few days shooting, eating, drinking, and learning in the sunshine. I have just about got around to editing my little Italian adventure. First up, here’s Steph & Stefan’s couples shoot in Santa Maria Di Castellabate. It took place in the evening sunshine, on top of the hillside. The workshop made us push ourselves as we only had a few minutes at each spot to capture the images we were after (so that we could work in small groups!) and I was pretty pleased with how it turned out! 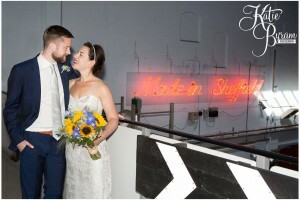 Steph & Stefan were a dream to work with, such a fun & in love couple. Keep an eye out for more Italian shoots… including a maternity shoot in Sorrento!! Gillian & Tom live and work in The Congo, and in December they flew over to have a cosy winter wedding blessing in The North East, where Tom is from. They are both big on adventure, travel & helping others.. and they live their lives very much this way. Gillian is originally from Australia, and they officially tied the knot back in October on the beach in Sydney, but decided on a church blessing at All Saints in Gosforth so that their friends & family on this side of the world could share in their marriage celebrations. They decided to have a late afternoon ceremony and then head over to The Feathers Inn at Hedley On The Hill, Northumberland. 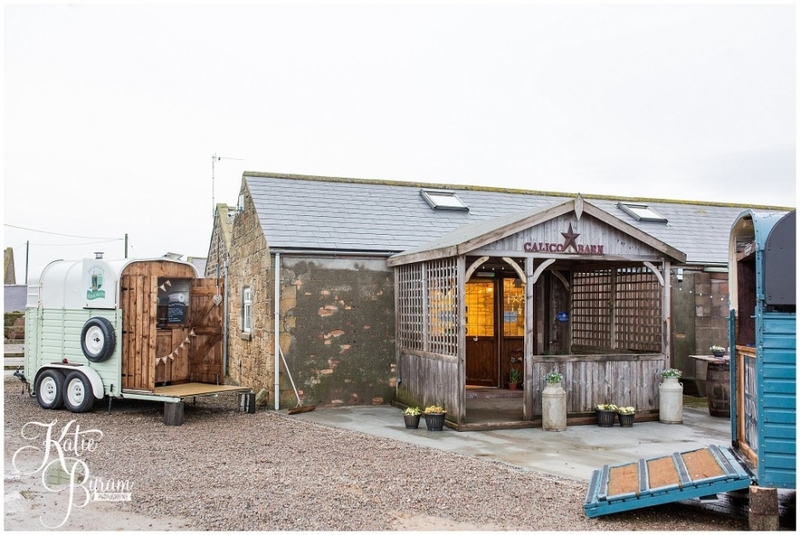 Being a small & cosy Northumberland pub, it wasn’t a traditional setting for a wedding, but certainly fitted perfectly with what the couple were looking for: food, fun & family. I didn’t actually meet Gill & Tom in person until the wedding day, but we got to know each other a little more via Skype and had a good time chatting! They chose to meet prior to the ceremony for some relaxed photographs of them around the church in natural light. This also meant they got more time to party! Here’s the highlights of their day…. The couple repeated their personal vows they made in Sydney, and reaffirmed their marriage commitment. It was a very beautiful & personal service. A close family friend, who is an opera singer sang throughout the ceremony. It was just so wonderful! After many hugs and a few family group photographs, (See above example, children are so amusing to work with!) we headed off to The Feathers Inn. By this point it was dark and very foggy outside, and the lovely country pub all lit up in the darkness was a very welcome sight! Without any of the usual formalities, guest were free to mingle, drink and eat… and I basically captured the fun! See – there’s the PIES!!!! When it was time for the speeches, Tom came up with the idea of getting the speakers to stand behind the bar, so that both sides of the pub could see and hear them. It would have been impossible to have everyone in the same room at the same time…..and it just worked so well.. and made everyone laugh! Later in the evening, just before I left I grabbed the happy couple for a few outdoor photographs. They braved the freezing cold fog for some night time shots. Amazing what can be done with a lamp post and a little flash wizardry ! PINIMAGE A huge congratulations to Gillian & Tom on their marriage and a huge thanks for having me!! Here’s to their next adventure! All photographs & text copyright Katie Byram Photography and must not be used without written permission from the photographer.